Well, as good intentions would have it, our departure time was scheduled for Saturday at 10 am. Although we were well intentioned, we couldn’t believe it was 1:56 pm before we started the engine to head out. Relatively boring first day as it was up the Florida Turnpike and 44 west to Crystal River, staying at rock crusher camp ground. Lovely camp ground but satellite would not lock the signal. Fortunately, I have a wireless hot spot. Of course I woke up to data overage charge emails, thus the trip has begun. During the night the back left hydraulic stabilizer gave way a bit that put the motor home on a pretty good tilt. So we slept in a slant. I see a motorhome repair shop in my future!! Well we are off to see beautiful wetlands and hopefully we will have more pictures than 2 motorhome pics. OK, let’s get up and get moving to Ochlocknee, Florida. So we got an early start, leaving at 12:30 pm. We took 98 from Crystal River to Wakulla County. It was a beautiful drive and we were trying to make a 4:00 pm appointment. We stopped by a shopping center parking lot to have a quick lunch and then on to our appointment with Josh who showed us a 1,000 acre wetland that we can access for photos for the coming 2 days. We finished the tour and checked into as nice motorhome park on the Ochlocknee River. Nice view and great sunsets. Since best view was to pull straight in, our sewer and water lines didn’t reach. During the night we lost power and could not find any functioning flashlight. I think we have at least 5. Yeah for the iPhone flash light which was a lifesaver? Switched to another plug in and it was power again.We are still sleeping on a tilt, but have learned now that the back left hydraulic doesn’t even go down. Hopefully, we can find a shop that won’t have a week’s wait. Today we had a much better start (10 am) and went driving on the wetlands. First time after 100,000 miles on the jeep, I got to put the car in 4wd low. Now I am feeling country. 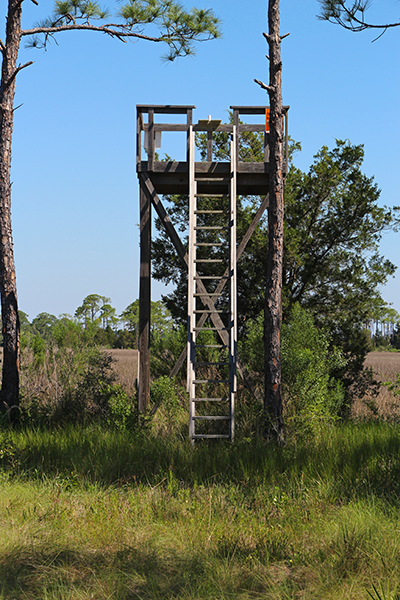 Climbed the viewing tower and enjoyed the property. 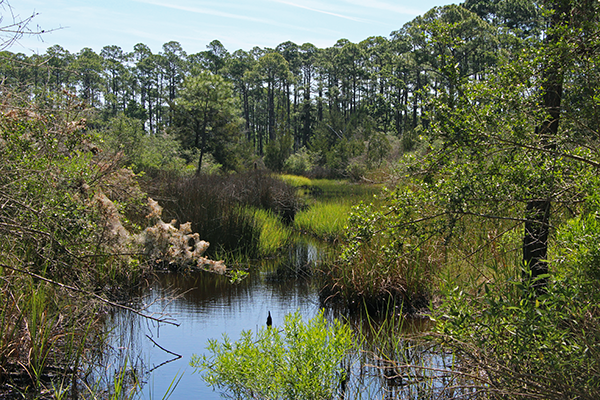 Beautiful marsh and pine forest. We learned about a cat scratch tree which was used for turpentine collecting the pine sap. They stopped doing this over 80 years ago so these trees were probably over 100 years old that we were seeing. 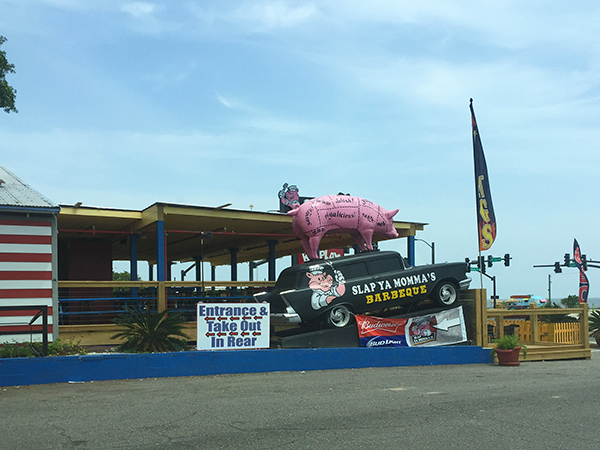 We headed off to Posey’s for a flounder sandwich, but it was closed. We then made a field decision and off to Wakulla Springs State Park. We had lunch a Savannah’s Country Buffet “Home of the $2 Breakfast”. The best country string beans and lima beans, fried chicken, greens, and country fried steak. 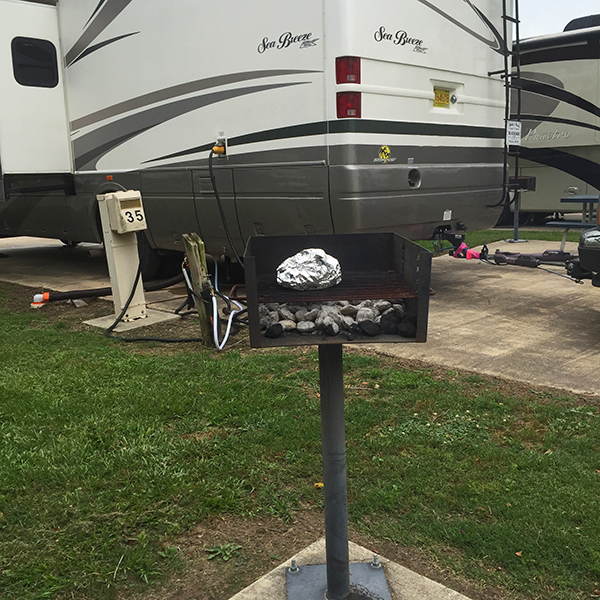 Ordered a “to go” dinner to take back to the motorhome, which JoJo polished off most to the string beans by 5pm. 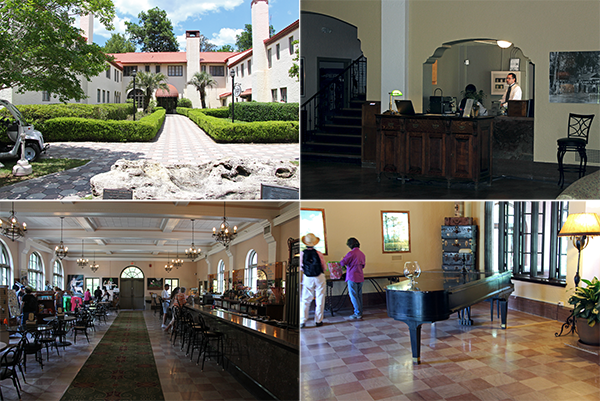 We then went to see Wakulla Springs and the old Florida stuccco hotel. The Jesse DuPont Suite and Room 31 are the best rooms in the house. We then went to St. Marks, a nice little fishing village, and touts being the Home of the Stone Crab Feast in October. The little town we are staying in, Panacea, Florida had the blue crab festival this weekend. Looks like this area is big on seafood festivals. 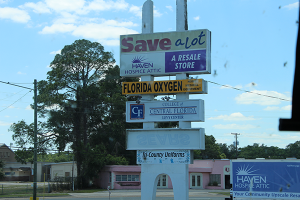 We ended at the gulf a few times looking for lunch and ran into housing developments of stilt homes 30 feet high. We got back to our tilting suite and it was nap time for me and JoJo relaxing on couch looking at her Ipad. We sat by the river and enjoyed the view and then to bed. 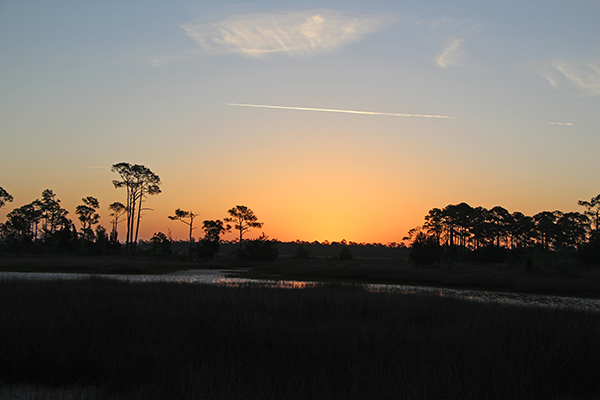 We had decided to get up at 5:30 am to go get a sunrise picture over the marsh. Alarm is set for 5:30 am and car is packed and ready. We shall see!!! The alarm rang at 5:30 am. We jumped out of bed immediately, put on or same clothes from the day before and were out the door and on the salt water marsh by 6:15 am. The weather was cool with a little breeze so only a few of our pesky little mosquitos were around. The wildlife was not present, but the time of year for this area for the birds is November through May 2nd (the day before we arrived!!). We went back to motorhome and prepared to depart. Joanne cleaned and prepared the interior and I got to clean the love bugs off the windshield. Ammonia/water and bug remover did the trick. Of course, I need the water hose so luckily I had packed it deep in the under belly of the motorhome. I had to crawl on my hands and knees under the slide out and drag out half the stuff stored to get to my precious hose. Well I finished cleaning, showered, and changed into clean clothes. We were ready to leave and yep, I had forgotten to stow the water hose. It was still out. I had actually made easy access storage for it so no big deal. You have to understand I am a “quick disconnect” freak and I have a large inventory of these gadgets to use to make it easy to disconnect water hoses. So I quickly disconnect the water hose and to my surprise I had forgotten to turn the water off. So I was standing directly in front of the water connection so with full pressure I got soak to the core as I just stood there in disbelief. It also made a dandy mud puddle right in front of the steps to get into motorhome. Jojo was getting the car ready to tow, and was a lady. She didn’t laugh to hard. Unfortunately, all my clothes were in the back bed room and the sliders were closed so didn’t have any access to dry clothes so I drove wet. Eventually I dried out due to engine air. 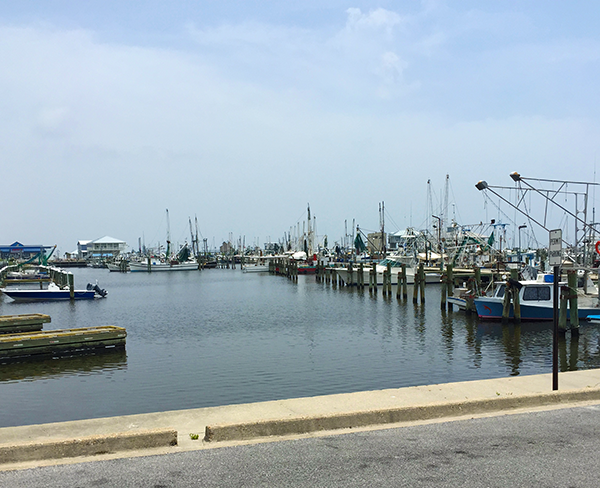 We were off to Apalachicola which was only about a 100 mile ride and is a nice little artsy fartsy town on the gulf. Since it was the middle of the week, parking was easy. We disconnected the car and we were off. We had a great lunch at Caroline’s River Dining. Grouper sandwich, tuna tartar, and sautéed vegetable roll which was outstanding. 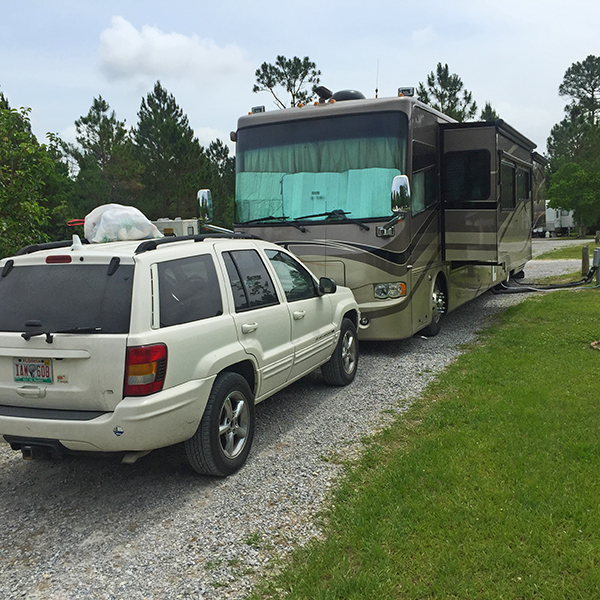 We decided to stay at a motorhome park that we had passed on the way into to Apalachicola so I called and got a spot. We made camp and this time had city water and sewer. Good Sam gave this place 3 10’s rating. The ratings are for bathrooms, facility over all, and appeal. It is not really rural camping and it costs $50 per night which is a bit pricey. 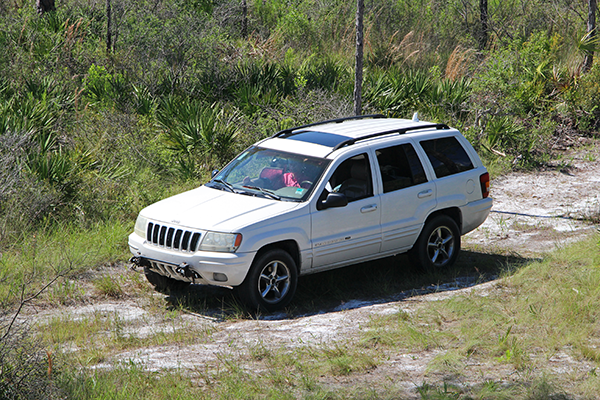 We parked and then jumped back in the car and went to St. George’s Island. Neat little island off the coast. There is a nice State Park at the east end of the Island. 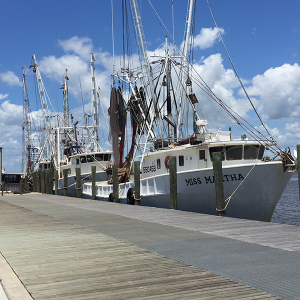 So we are off tomorrow to sight see Apalachicola and do a little shopping and have some oysters. So, we were up and on the road by 12:30 pm. Another quick start for the Williams’. We did our sightseeing and found the Piggley Wiggley to take on the supplies. We were going to cook a steak on the grill. We went to lunch at the Owl Café. Excellent. We had fried oysters and another grouper sandwich. Jojo had a Reuben and had one bite. We have been using our Christmas gift cards to pay for lunches along the way. Today the Owl Café said the card was declined. We hadn’t even used it. Of course you feel humiliated in front of the waiter as you begin to spin your story of how this could that possible happen. Oh well, I guess I better read the instructions. So, we were so stuffed, we passed on a trip to The Pig as we weren’t going to have a big dinner. Joanne made it through the stores without a single purchase. Today was a slow day. 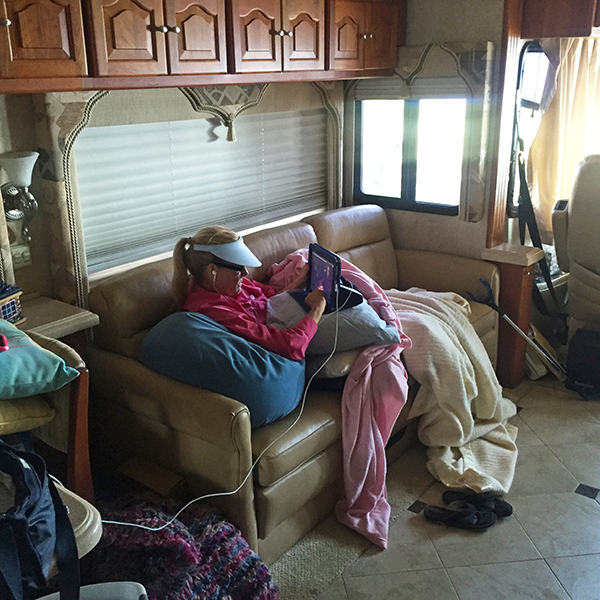 So back to the motorhome for my nap and to do the wash while Jojo watched her ipad on the couch. The satellite is still not working so Jojo and I are forced to have to talk to each other. Need I say more!! Jojo woke me up from my nap and said the warehouse rental company called and said we hadn’t paid our bill. I called them right away as this is auto pay on a credit card. Well as luck would have it the credit card was declined!! Twice in one day. Not feeling great about this. After checking, the card had expired and needed the updated information. Hopefully tomorrow will be better for my personal credit! Tomorrow we are off to a little past Destin for a 3 day stay. It is mother’s day weekend and I have found out that many of the mothers are staying at motorhome parks. We got the last spot. So I took more nights than I needed until I can find a new destination. The good news is I got the satellite is up and running. I called the mobile mechanic guy I used and learned that my sat dish locks onto the first signal it finds, but not always the right satellite. We found the right satellite and it now works. One item broken is now fixed. Going in right direction. We got an early start and we were off by 11:30 am. We made it all the way to the end of the RV Park’s driveway to turn onto the main highway when a man came running after us and told us our TV antenna was still up. Thank god, as it would have caught a low hanging wire about a mile down the road and no telling how bad the damage would have been. We dodged a bullet. So about 4 miles down the road the loud beeping started with about 1 minute intervals. So we pulled over and ran the noise down. It was our CO2 and LP gas detector. So another challenge we face. I called the Tiffin parts and service department and ordered another detector to be fedx’d to the RV park we would be staying at. The beeping continued for about an hour and then just stopped. So I have learned to just ignore it and it will stop. So Friday, I get to install my first hard wired detector which is, of course, virtually on the floor in a poorly lighted area. 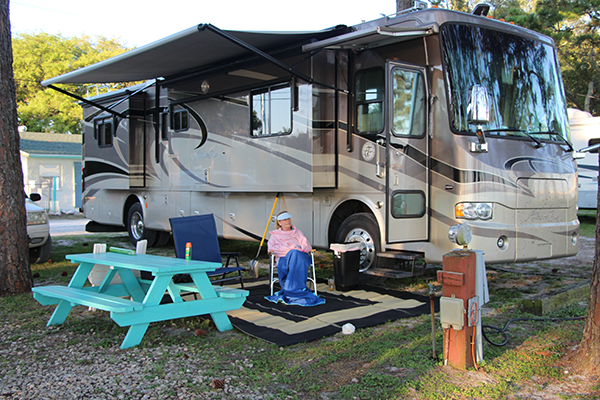 The RV Park is very nice on a St. Johns River scene which is really very lovely. We did a little driving around and found some neat little beach towns which we will check out further on Friday. Also on our list for Friday is to purchase a floor jack to jack up the back left hydraulic which is still not working. Sleeping on a slant is like being water boarded. It is driving me crazy. So hopefully this will work. Of course I left my floor jack in my other car so now I will get to own 2!!!! We got another slow start and thankfully we did. We ran into a mobile RV repair man that was on a service call at the park we are staying at. He said he would come back about 5. This meant no chance to get a replacement part ordered, but maybe I could get it diagnosed and order the part to be delivered at a location along our route. We still went to get a floor jack as a backup position so now I own a 3 ton floor jack if anyone needs to borrow it. We took some side trips and ran into this town called Watercolor. The Village had these 15 feet airstream trailers as food vendors. Very unique and clever. We also discovered a neat little state park called Grayton State Park. 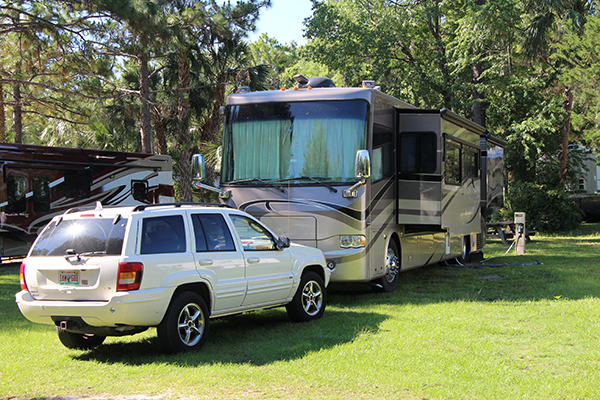 Nice Motorhome Park with beautiful beaches. We got back to motorhome by 4 and repair man showed up about 6. I received our CO2 LP gas detector from UPS so I decided to let my new RV guy install it for me. I had been dreading crawling around and messing with all the wires. Well the diagnosis for my hydraulic lift is a valve that will probably cost about 500.00 for the part. As part of the diagnosis, we retracted all our hydraulic lifts and since we were on a cement pad and very level. We didn’t need stabilizers so now we are level. When you don’t use stabilizers the motorhome rocks when you walk but much better than a slant. So slant thing solved for now. The RV guy changed out the CO2 thing. Now I imagined that when I pulled the CO2 thingy out it would have all these wires going everywhere like a nuclear bomb. So I was shocked that there were only 2 wires. Red and black. That’s it!! Another lesson learned. The RV Park where we were staying had these little houses on a RV pad. Interesting concept and they sell them or rent them. Saturday was a slug day. I wasn’t feeling that well so we hung out at the motorhome. Mostly sleep and a TV marathon. Tomorrow we move on into Alabama and Mississippi. Hopefully be on the road by 11:00 am. 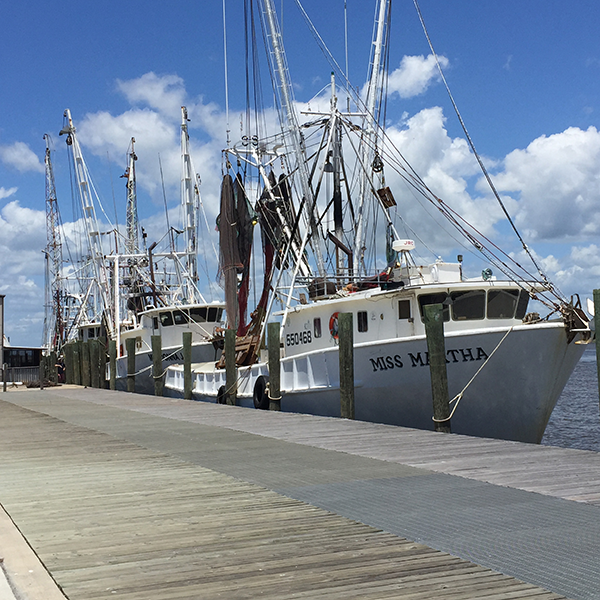 We headed out with another early start…11:30 am and headed for Bay St. Louis, Mississippi. 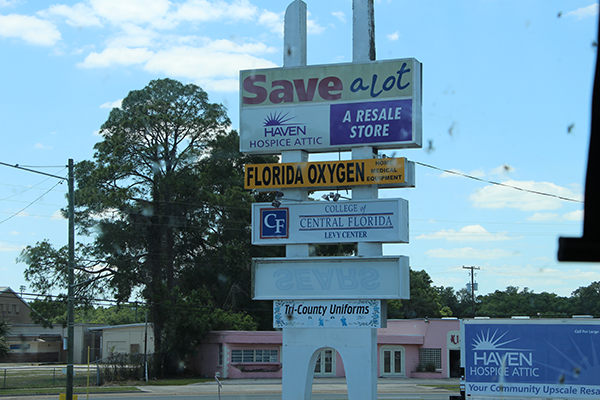 We travelled along US 98 west through Destin, Ft. Walton Beach, and Pensecola. Wow, we did not realize the changes and growth that had occurred over the years. We then jumped up on 1-10 and motored on to Mississippi. 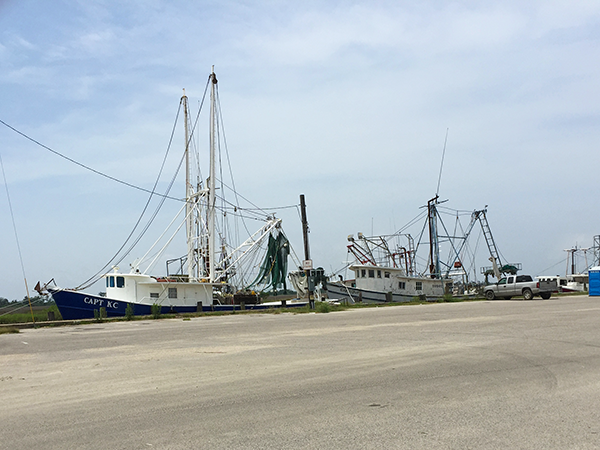 We stopped at Bay St. Louis about 30 miles west of Biloxi and 60 miles east of New Orleans. We were being confronted with a major rain front sweeping through Texas heading east. We decided to hunker down until the storm passes. We went exploring today and discovered a beautiful ocean shore road. It had huge houses on stilts. 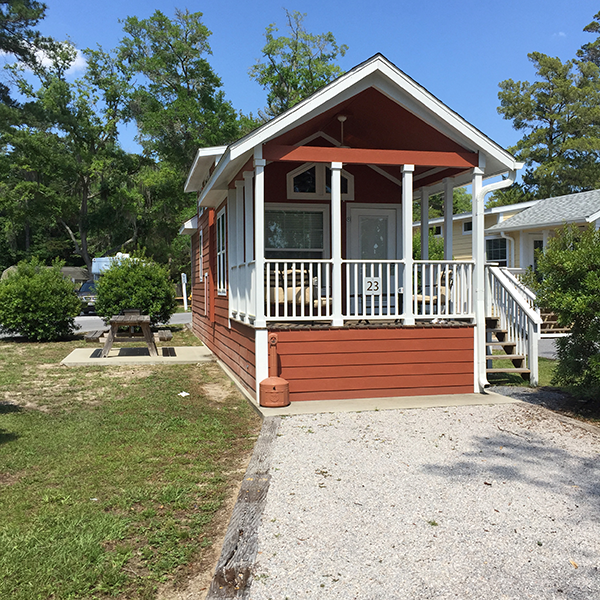 Incredible homes along the way, 2 motorhome parks on the water, a church on stilts, and ended at the Silver Slipper Casino. Jammed with tour buses, but fortunately neither of us gamble. Contacted a mobile mechanic to come and take a look at my broken hydraulic lift. 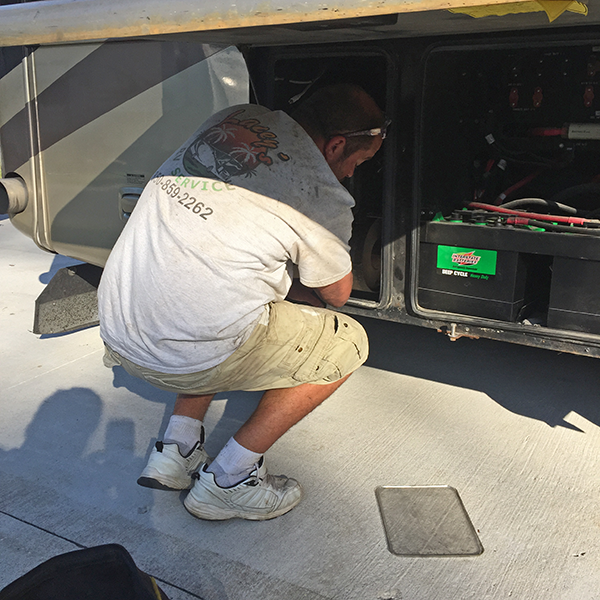 Tom, the mechanic, showed up and we put the hydraulic lifts down to show him that the back left was not going down. Ha..that lift showed me! It went right down as it was never broken. So, wa la, problem solved until mechanic is no longer around. Only cost me $270.00 for the mechanics and it fixes itself. Oh well!!! Today we headed down to Biloxi, MS along the beach shore road US 90. Went through Gulfport a few other cities. The old southern homes are incredible, but the gambling development detracts from the settings at times. Still have seen know rain so tomorrow we are planning to move on to Houston and confront the system. Hopefully survive it and on to San Antonio. Tonight as I was falling asleep, I counted a 140 drops of rain. Still no front passing through. Today we had an early start for us and were on the road by 10 am. 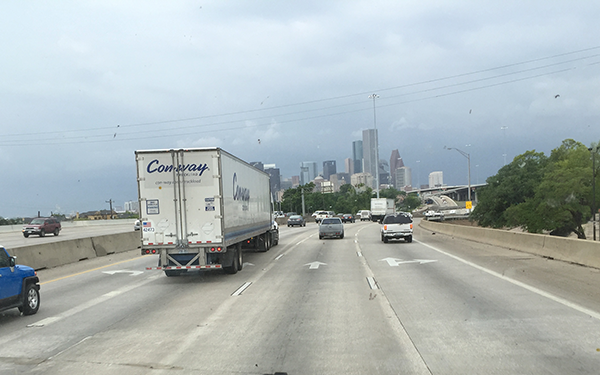 We were heading for the Houston area which was about 300 miles. So just as a note, I am retracting the hydraulic jacks and there is a light and beeping noise that won’t go off until jacks are fully retracted. Anyone want to venture a guess what happened. Yep light and noise wouldn’t go off. So out I go to do a visual review of each jack and found the right back jack to be the culprit. I won’t bore you, but I knew how to get it the jack fully retracted and it worked. So we are off. We have had problems with our generator so before we left today, I checked the oil and water and both were full. That is the extent of my generator knowledge. Sure enough the generator was acting up the whole day. It could not hold any load. Fortunately, the refrigerator auto switches to propane so that was the only thing we need to work. We can survive with just engine air. If you remember, we stayed in Bay St. Luis to miss rain and so far we had had about 140 drops at our location as I commented on yesterday. Today we were going to have to take on the rain front and drive through it. Well we didn’t have a great mileage day, but made it to Iowa, Louisiana. I need to research what came first, the state or city. The Motorhome Park was the first park I have ever stayed at that you had to pay a quarter for 5 minute shower. Tonight I finally got to bar-b-que a steak and did mushrooms and a sliced potato in tin foil. When I went to taste the potato, it was so hot it burnt my throat going down. Oh well got to love camping. We were still about 150 miles out of Houston and no rain yet. After 50 cents worth of showering, we were off again by 10 am. We were feeling good we had again gotten an early start. I updated the GPS for San Antonio so we had a 335 mile journey ahead of us. Along the way, I filled up with fuel. It is such a pleasure to be paying about 1.35 less per gallon than last year. I updated my fuel log and I am averaging a solid 7 miles to the gallon. A non-motorhomer would be shocked, but I am elated. My sweet spot for best mileage is 64 miles per hour or between 1,800-1,900 rpms. I have been trying to stay in that range. Good news/bad news we found the rain. Right as we were passing through Houston. We actually hit the storm on the west side of Houston and it was a doosey. Fortunately Jojo was right there to give me lots of driving tips. The best one was don’t use the wipers unless you absolutely need them so they don’t wear out. We made it through the storm and we stopped at a motorhome park about 100 miles from San Antonio. Tomorrow we will find a motorhome park closer to San Antonio and spend 2 nights there. We made it to San Antonio and it rained most of the day. When we arrived the sun had come out and Saturday was looking good. We found a motorhome park that was very close to downtown so access to River Walk area is very easy. We are still struggling with no generator and it is a little hot when travelling. So far we are continually averaging 7 miles to the gallon so I am happy. Today is Saturday and we are off like a herd of turtles with a noon start. 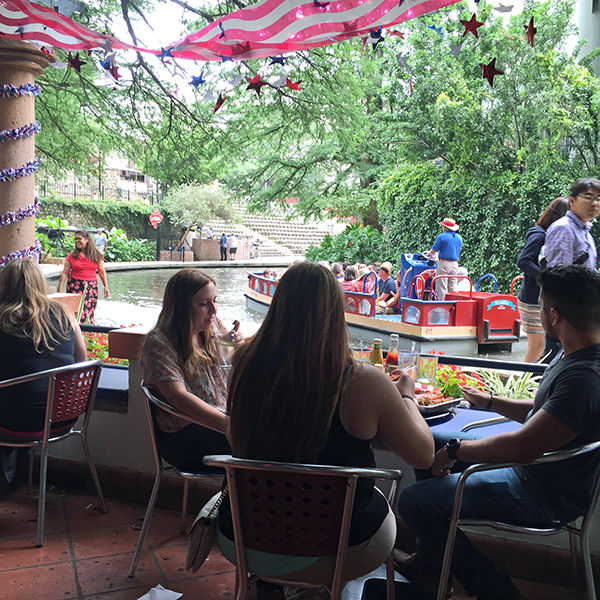 Our first stop is the Alamo and then a late lunch on the River Walk. Jojo had never seen it and it was my second time. Definitely different than last time I was here. They were setting up for the Air Force music group playing later on soI got to see the good use of our taxpayer dollars at work. It started to rain so we left about 4 and back to motorhome for the evening. It is Sunday and it is raining hard. 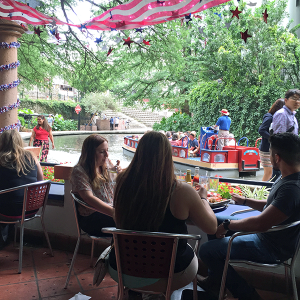 We decided not to drive in the rain so we extended our stay for another day in San Antonio. It was pouring so it was declared a TV day. Satellite didn’t work, but apple TV did on Verizon hotspot. Got into Grace & Frankie on Netflix. Really good, I am sure we are the last to realize it. We are eating down the refrigerator as it had collected quite a lot of random food over the trip. Actually, we had the meatloaf that I bought at Guido’s Deli (plug for my boys) which was still a little frozen and was very good. A treasure was found. Also had lasagna which was equally as well preserved. Watched a lot of episodes and ate up some serious GB of data streaming. We are off to Dallas today with a 9:30 am departure time. Probably our record. We were going to pass right through Waco, Texas (my older sister’s birth town) and have lunch at the Twin Peaks restaurant. Unfortunately, they were processing a major crime scene and we were worried that if Jojo showed up in her pink Harley jacket we would be arrested. The trip was about 300 miles and Texas Interstates are not that good. We arrived about 4 pm to a motorhome park that is next to an airport similar to Pompano Beach Air Park. This is the RV park where we are leaving the motorhome for a month at while we fly home. We were a day earlier than planned as I wanted to get to a repair shop for the generator. Got a referral from the motorhome park for a guy that just works on generators. So we made a 10 am appointment to bring the unit over to be repaired. Based on my symptoms, he thinks the radiator is blocked/clogged. We shall see. Today was an interesting day. I had called the generator man yesterday and made a 10am appointment to fix the generator. We had to take our motorhome to his place and he had room to pull the motorhome into his building and we could sit inside the motorhome while he repaired it. We had gone driving the day before to locate his business and thank god we did. The directions were good, but I didn’t listen right. Also, there was a different company name on his business than the name we were looking for. So, his plan was to run the generator until in kicked off. That was a bummer as I could have done that already as it usually ran for just an hour before it kicked off. Does anybody want to take a guess at what happened? Yep that damn generator ran like a finely made Swiss watch. Four hours later while we sat in the motorhome looking like tourists the generator had run like a dream and we called it a day. I kept it running as we drove back to the motorhome park plus let it run another 3 hours after we got back. Not a quiver of kicking off. There is a very valuable lesson that I learned from all of this. Remember our hydraulic lifter/stabilizer/jack was not working and then the first repairman showed up and the jack was not working as we had said. Second mobile repairman shows up and the jack is working perfectly. Now the generator kicks out after an hour running for at least 10 days on multiple attempts and as soon as we get in front of the repairman it works perfectly. 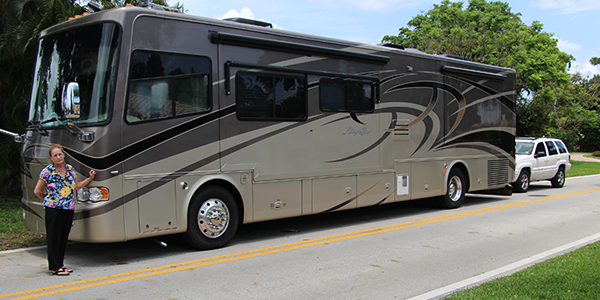 Moral of the story for our motorhome…..It will fix itself, just give it time. For tonight, I had arranged a reunion with 2 of my high school (Heidi and Gary and his wife Barbara) friends that live in Dallas and we had not seen each other in about 45 years. It was great seeing them and it was amazing how much we remembered. Heidi, of course, produced 2 graduation pictures which told a story. We’ll just leave it at that. Thank god for my GPS or I would have never gotten to the restaurant or back from it. Dallas area is big!!!! Time to go home. I woke up and went and did the wash. We keep a clean set of clothes on the motorhome so we travel light on the plane. One carry on and computer case. I got a car service and we got to the airport. I self-checked in on Spirit and bought a 136.00 worth of add-ons to get home. Off to security and through the scanners. Well as you would expect, my carry on was pulled over for suspicious items. Well one corkscrew later which also included a small knife fold out and a few table knives and forks I decided to donated my weaponry to the confiscated properties pile. We had gotten there very early so we sat around and people watched until boarding. Fortunately, a little girl sat next to me so I had plenty of seating room. Spirit had an on time departure and arrived early in Fort Lauderdale. Very unlike their reputation. We had no checked bags so Dependable Larry was at bottom of escalator and whisked us off to Lighthouse Point with the driver that could not stop talking. We werehome by 9:45 PM and the trip was over!!!! The End of Leg 1 !!! !